Just five days ago, July 25th 2012, Apple released their latest iteration of the OS X operating system: OS X v10.8 commonly known as "Mountain Lion". 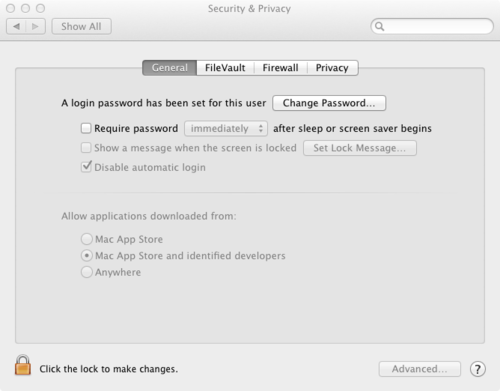 Just one day later I got the first report that bliss was not working with Mountain Lion. Sure enough, further emails arrived in the bliss@blisshq.com mailbox confirming the problems and I reproduced the issue easily on my own Mac OS X testing computer. A fix is being worked on and I hope to release it in mid August. Edit 2 - a new build has been released that allows bliss to run inside a DMG file but not if copied elsewhere (e.g. Applications) - I'm talking to Apple about this! Edit 3 - it appears that you can copy the bliss.app file from the DMG if you use the command line, e.g. 'cp -r' rather than Finder. Maybe other Finder alternatives may also work. Edit 4 - A full fix with support for copying to Applications and elsewhere is now in beta, expected release 28th August. The normal bliss.dmg file can be downloaded and opened as before. The problem comes when the bliss application is launched. The above two messages are shown when running bliss directly from a DMG file. 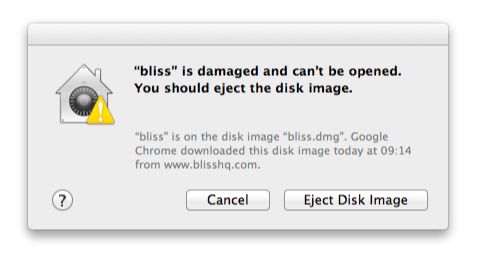 This is shown if you install bliss as an OS X Application and attempt to run the app from there. Click the padlock icon at the bottom-left corner and enter your administration username and password. You should now be able to run bliss direct from your DMG file. I'm working on it! I've replicated these error messages and I'm working on the assumption that correctly signing the application will solve all varieties of the problem. 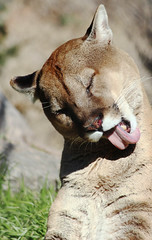 I'll update the blog, Twitter, Facebook and G+ with progress. Thanks to katsrcool for the image above.